Sponsor a group of young Nepali women on a volunteer trip to aid a rural village in Nepal! 'Girls Empowered by Travel' needs your help to send female Nepali youth leaders to support a tiny, earthquake-rocked village in the Himalayas where enterprising families are working hard to establish sustainable homestay businesses. Your donations will support our mission to empower girls through travel and community service, while helping secure a livelihood for indigenous families. • Local families are eager to launch homestay businesses but lack access to resources. They have requested the guidance and support of mentors who can show them the way. • Homestays = income = opportunity, education, health, etc. 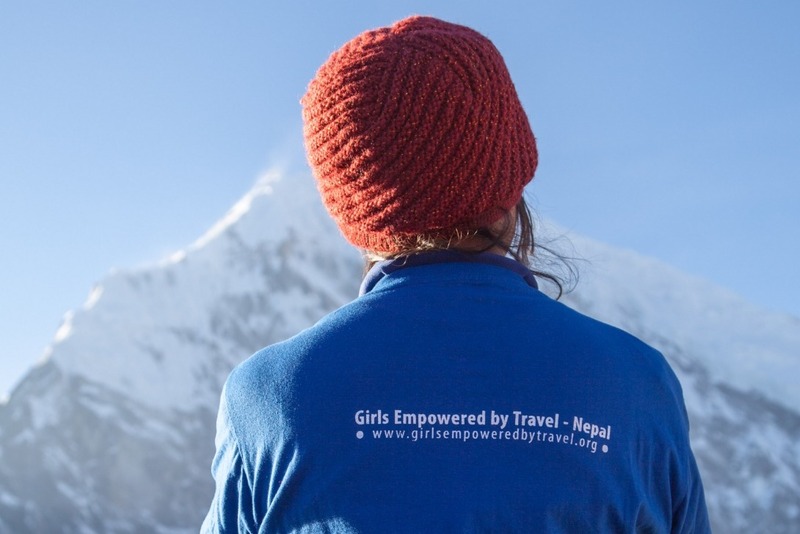 'Girls Empowered by Travel' is a Nepal-based non-profit organization that provides safe opportunities for women to travel and get involved in community work. GET strives to promote leadership among women and youth that will have a ripple effect on their communities. Last November 'Girls Empowered by Travel' (GET) founder Lena Zubareva, Sajana Bhadal (President of GET), Kat Liljegren, and a few friends were trekking through the Langtang region of Nepal. The first night we were all guests in the rustic home of Nima, Dahlia, and their 4 young daughters (pictured above). Over tea they told us how in April 2015 Nepal was hit by a devastating earthquake , and their village was one of the hardest hit! Every home crumbled. Every. Single. Home. Many people in the village still live in temporary shelters. Most are subsistence farmers, or rely on seasonal or international work to put food on the table. But some families, like Nima's, have managed to save up enough to build new homes — safe homes — that won't crumble in an earthquake. 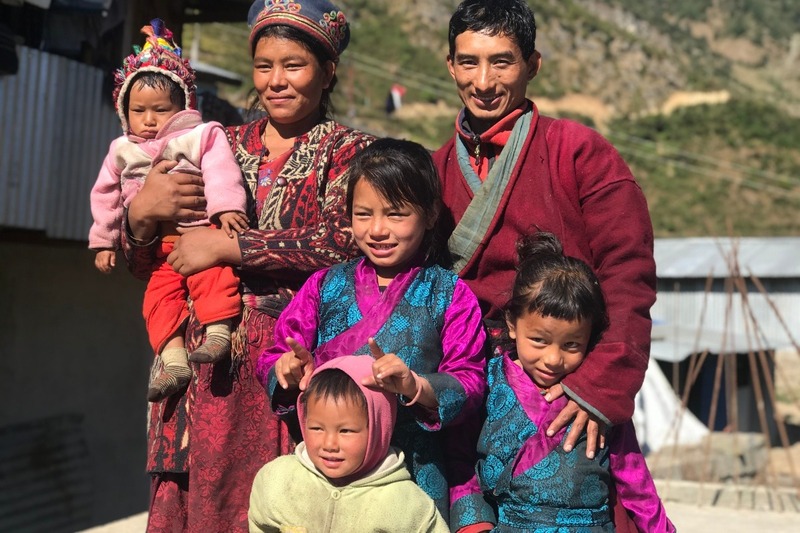 They dream of opening their new homes to travelers as a homestay, to share their culture and cultivate a lucrative tourism industry that will bring jobs and opportunity to the village. We were the first guests in Nima and Dahlia's homestay. Before we left they asked us for help — advice, guidance — to make their homestay a success and bring jobs, industry, and opportunity to the village. It would mean a good income for their family. It would expose their four daughters to different cultures, and support their goals to learn English. And it would mean Nima wouldn't have to leave home to work as a guide for three months a year. As we trekked on through the stunning Himalayans, Nima, Dahlia, and everyone we met in the village kept popping back into our minds. A plan was formed to organize a volunteer trip to support the village. The trip would raise funds for Girls Empowered by Travel while helping Nima, Dahlia, and their neighbors. We need YOUR help! Your funds will support various projects to achieve our goals: Providing scholarships for volunteers, building a solar shower, providing hygienic cooking supplies and training, English language training and resources, transportation to and from Gre village (a 7 hour 4x4 ride from Kathmandu), marketing training and resources — and provide much-needed funding for the life-changing empowerment and service projects organized by Girls Empowered by Travel. This week I woke up to a very exciting email — it said our campaign is fully funded! I sent a screenshot to the team and we were all overcome with so many emotions! We were awestruck by the generosity of all of you....excited that the project we dreamed of is coming together....and humbled by the work that still remains in front of us. The trip is scheduled for early May and we are all working hard to make this project a success. THANK YOU for all your support! We'll make sure to send lots of updates so you can see the impact of your donation. One last thing...If you haven't already, please share this page on your social networks. We can still use all the support we can get!